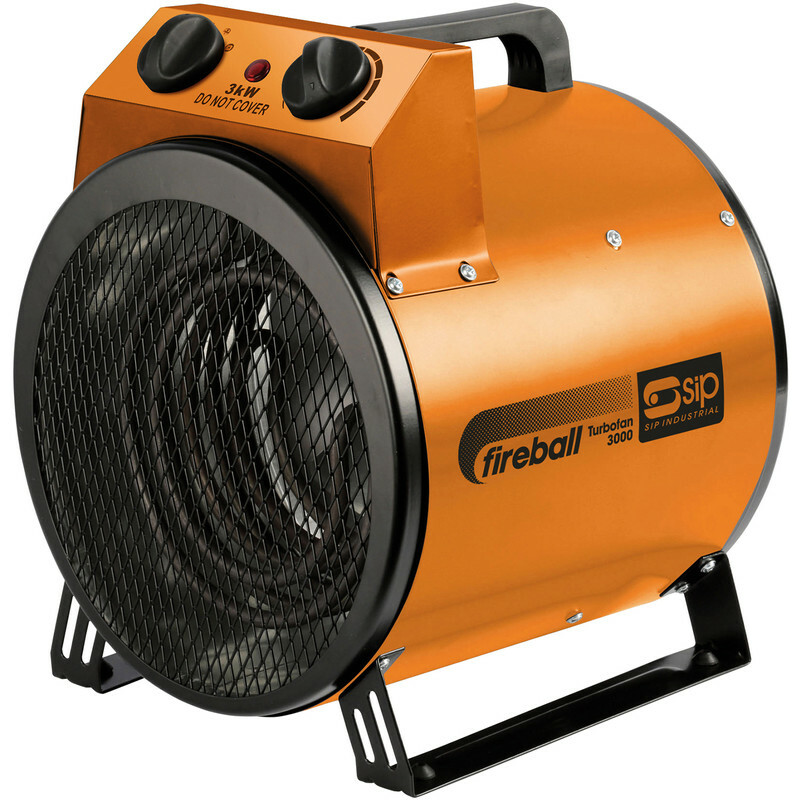 SIP Fireball 230V Turbo Fan Electric Heater 3kW is rated 3.0 out of 5 by 22. Rated 1 out of 5 by Dudley from Not great I bought this to heat kitchen/dinner space during building works. Not enough heat generated ,even leaving it on for hours. You would generate more hot air if went on a brisk walk. Returned to Store for refund, staff were very helpful. Rated 5 out of 5 by KBM No 1 from Good Powerful Heater & Fan Moved into a house that had been empty for weeks, central heating was not coping, the Fireball Heater soon had the place warmed up. Rated 1 out of 5 by Gibbo1968 from Should be called a Snowball, not Fireball Purchased January 2019 and returned to get refund same day. Not fit for purpose. Contacted manufacturer for advice but they were not helpful. Rated 1 out of 5 by Willeywonka from Just a blower Not really any use as a heater, more a blower. 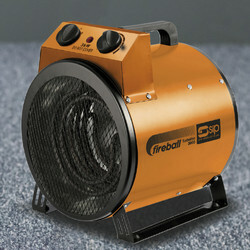 If you are looking to heat a room in winter than this isn’t for you, really, this isn’t the heater you are looking for. Move on. Rated 4 out of 5 by Wingcommander from No more chill I have a 6x5m garage this was purchased to take the chill out of the place does this well takes a bit of time to heat up the area.doesnt make the area toastie but warm. Rated 1 out of 5 by Hugh the potter from very short lead I bought this online but when I got it, the lead was only about 1.5m long. Also, it recommends you don't use an extension.